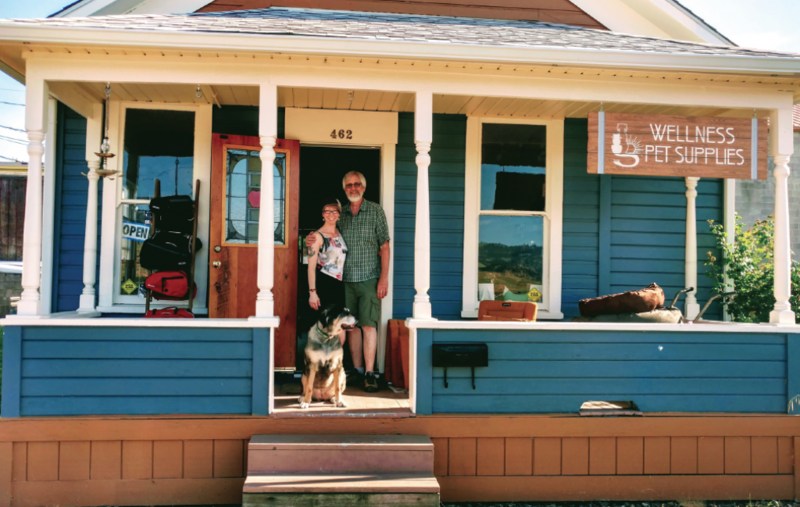 Conveniently located downtown in the railroad district, Wellness Pet Supplies is owned by Billie-Jo Vinson and Doug Strain. Wellness Pet supplies is a provider of homeopathic, herbal, vitamin based, organic, hypoallergenic food, toys and beds with a core passion for the wellbeing and longevity of animals. 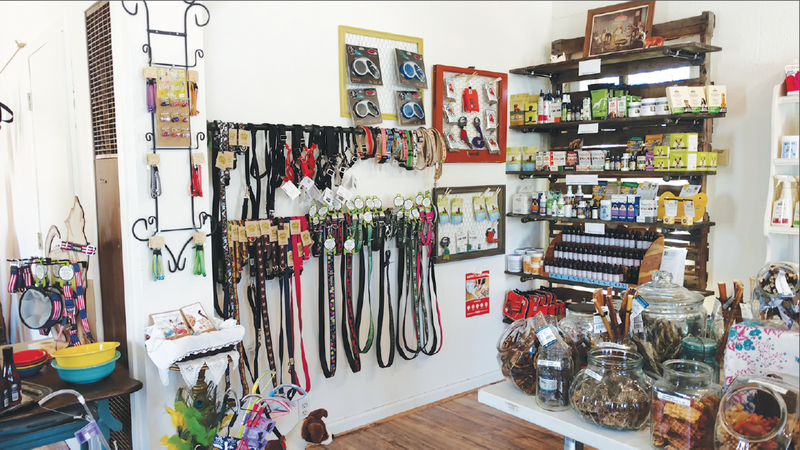 We are excited to welcome Wellness Pet Supplies to our community and to share this interview with you today. Billie-Jo, thanks so much for doing this interview with us here today. Thank you. We are excited and eager to introduce ourselves to the Ashland community. Ashland is one of the sweetest places to be. We love being around people who want to connect through community, people who care about the intention of something. This is a great opportunity to share more of the story and inspiration behind the creation of Wellness Pet Supplies. Billie-Jo, before we jump into the creation of your new store will you please introduce us to yourself and tell us a little bit about your life and path and background? I would love to. First I was raised in Portland, Oregon. I was first led to natural medicine in my 20’s when my life was on the line. Around the age of 23 I had become very ill and was told that I had a sluggish liver and would have to have a liver transplant by the age of 30. Feeling discouraged and scared a friend suggested I see his natural- Pathic doctor. Not knowing what that was, I figured what do I have to lose? He gave me an allergy test which showed that I had a major sensitivity to more than one food. He told me that if I did everything he said he could get me off the liver transplant list in 1 year. Well, that is exactly what I did and I was taken off the list within a year’s time. My lifestyle was changed forever for the better. I learned how to eat healthy, which I had not done before. Now I wanted more knowledge and work to with herbs/plants. In a short period of time I was led to Cascade Anderson Gellar’s herbal school. After graduation in 1997 I moved to San Francisco where I was hired by Whole Foods as their staff herbalist. Soon I also becoming the body care product buyer, which gave me valuable skill sets to open my own store. But before that in 2003 I shifted gears and worked in my other passionate field, animals, by starting my own professional pet care business, Walk-N The Dog INC.
For the next 13 ½ years I made this business a thriving success with several employees. Walk-N The Dog INC. became an important part of so many pet’s and pet parent’s lives. I knew how important it was to learn as much as myself and employees could about animal behavior in an effort to keep them as safe as possible. One of the ways to achieve this was to take the Dog Tec Dog Walkers Academy course. It was so rewarding to know that I was a part of animals having a better quality of life. 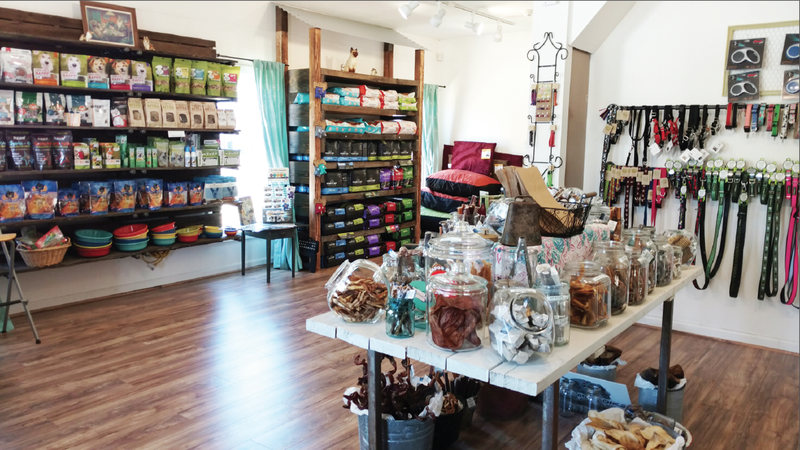 When did you first have the idea for creating Wellness Pet Supplies and what were some of the key tenants that you wanted to incorporate into such a store? As working with animals became more physically demanding than my body could handle, I knew that I needed to start a different kind of business. A friend of mine said “I see you opening a holistic pet supply store”. That was an AH HA moment for me and I knew she was right. 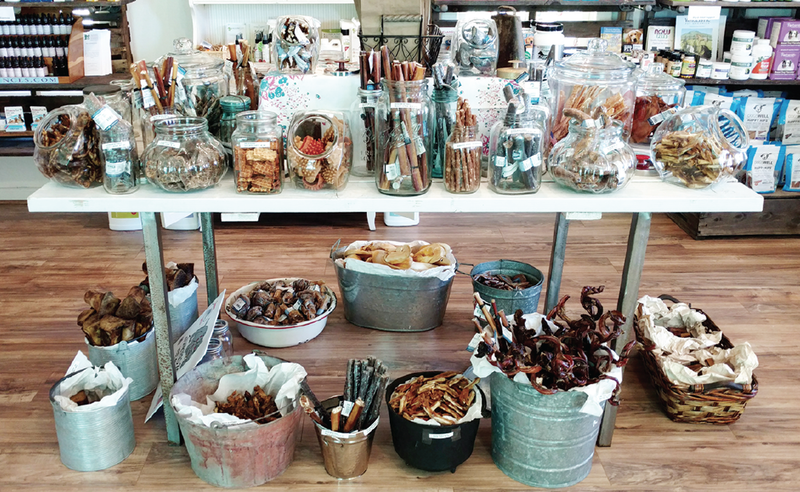 Since my husband was game for whatever kind of business I wanted to start, I figured that it was a great idea to combine my two biggest passions and skill sets, and open Wellness Pet Supplies, a holistic, eco-friendly pet supply store. In doing so we discussed where to do this and that our big desire was to live in a smaller town with a strong community. Ashland was at the top of the list. If I was going to start another business then it would have to have the same qualities as Walk-N The Dog INC. These included mindfulness and to be as healthful and helpful as possible. 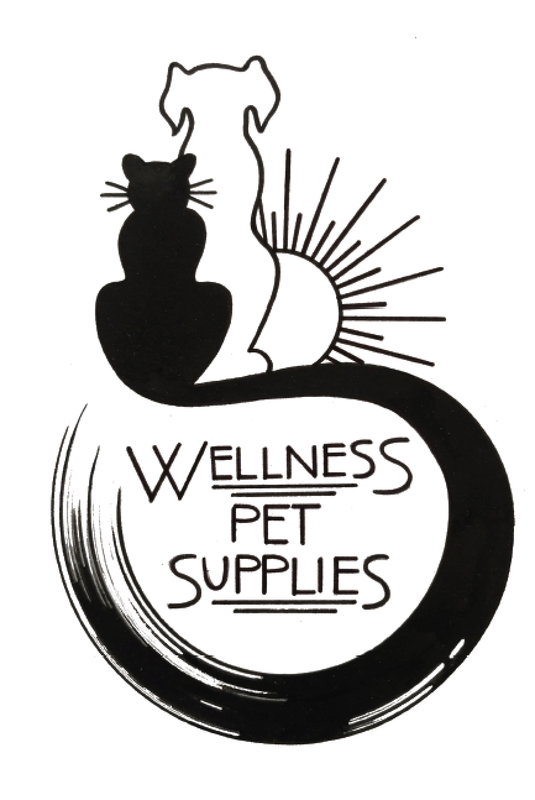 We wanted Wellness Pet Supplies to be an extension of how we walk through the world. To help create a bigger voice for the things we believe in; such as cruelty free, hormone/antibiotic free meat and eco-friendly products. And we wanted to be a strong community supporter with the local shelters, sport teams and such. Basically to create a store where customers can come and just relax, and enjoy the shopping experience knowing that I did all the vetting and research of each product and company to find the best of the best without compromise. Customer after customer have come in and told us not only are they glad that I am here but that this kind of store is just what Ashland needed. People are taking better and better care of themselves naturally and seeing the healthful benefits of these choices. They now want the same effects for their beloved pets. Here at Welllness Pet Supplies I want to aid folks in making that a reality. My main goal is to help animals be as healthy and in their most natural state as possible. Take pet food for example; I have started off with focusing first on Raw food. When I began my research in the pet food industry I found it extremely overwhelming. Raw food is more straight forward and, from what I learned, is the most balanced nutrition for a cat/dogs digestive system. The research on kibbles took a little more time to make sure I fully understood which ones had the highest nutritional value. We finally found 2 brands that we can get behind and are proud to supply. Please talk more about your adherence to mindfulness in the creation of your store. What I mean when I say a mindful business practices is about having a clear well thought out intention in choosing products and how I want to help people and their pets. I believe it’s important what kind of energy we put out in the world. It truly matters to me the effect my actions have on others. I want to be part of positive change and growth in this world and believe my path is through natural medicine and helping animals. We are judged by how we care for our charges, animals, and the planet. Pay for it now or pay for it in the vet later. Being health minded is an investment. What I have learned through my own health experiences is that if I don’t make it a priority then I will pay for it later, either in doctor bills or just not feeling well. That could mean expensive vet bills. Yes, environment can play a factor in overall health. For that we have herbal and homeopathic support for allergies and detoxing. We are seeing more and more diseases in cats and dogs such as cancer, IBS, diabetes and organ failure. 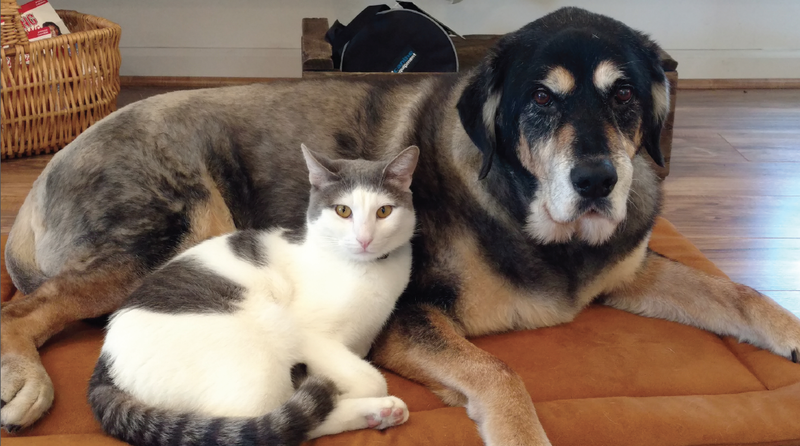 It’s more important than ever to know exactly what is in the products we are giving our pets. I have learned that they are not all created equal. Labeling in the pet industry is not governed by many regulations and a company can make whatever claim they want. For this I have done in depth research to make sure each company holds themselves to a high standard. Often times pet foods and products are being manufactured in countries without strict regulations or guidelines to standards. Can you please talk about product details that might often times go unnoticed in conventional settings? Yes, since the pet industry doesn’t have the same regulation as products for people, anything can happen. For instance, in 2007 there was a recall for products made in China with chicken, duck and sweet potato. They were found to be making over 5,200 pets and some people sick and caused 1,140 pet deaths. The shocking part was that these products claimed to have one to just a few ingredients. Upon a FDA testing in 2015 they detected antibiotic/antivial, pesticides and radioactivity residues just to name a few. These chemicals had Fanconi like symptoms which shut down the kidneys. Transparency in product labeling is key to keeping our animals safe and healthy. Since the food was causing problems we decided to not carry any products from China. Due to lack of regulation you can’t be sure what is actually in the product and they also require by law all skin care and cosmetics be tested on animals. They also have an annual Dog meat festival in Yulin, China. My goal is to help animals here and I don’t want to support any country that mistreats animals. I don’t pretend to know everything and there is still so much to learn about pet health and the industry, but I am learning an exponential amount of information and will continue to educate myself and anyone who wants to learn. Billie-Jo please take us on a tour of our store. I would be proud to take you on a tour of the store. First we tried our best to keep our carbon foot print as low as possible by using used pallets and reclaimed wood for our shelving. We went to antique stores for tables, cabinets and jars. 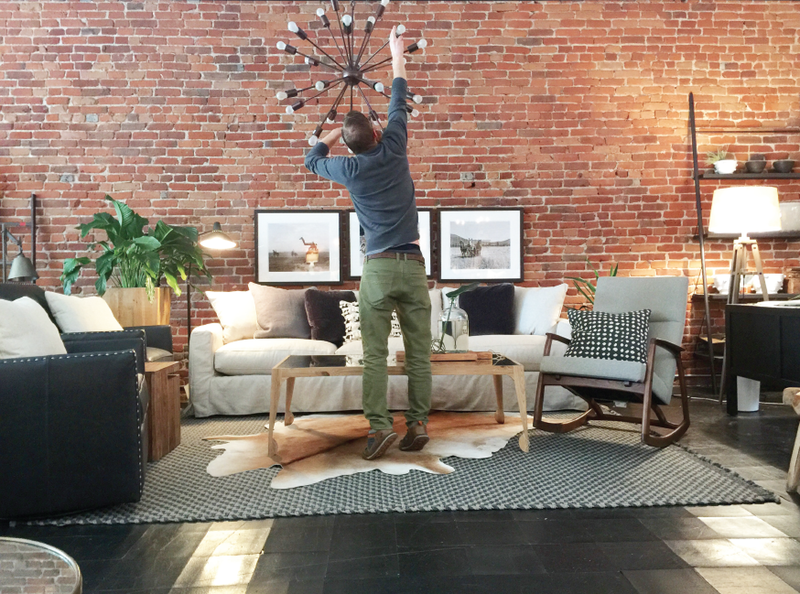 Instead of having isles we opted for an open floor plan to make a welcoming home feeling. The herbs, supplements and homeopathics are arranged by the health issue they support. For example; allergies, anxiety & stress, digestion inflammation and many more. Of course we have all the basic pet needs taking care of such as cat litter, toys, food bowls, poop bags, food, treats, collars, leashes, harnesses, beds and crate pads. For pet food our main focus is on raw pet food. It has become clearer and clearer that raw food is supporting pet’s systems with fending off such things as allergies and IBS. For the kibble connoisseur’s we brought in the two brands that we found to be the highest nutritional quality. Since Wellness Pet Supplies is a new and small store it is still evolving and I will continue to bring in all your pet supply needs. The decision not to carry any products from China has made it challenging to find certain items. If there is something needed that I don’t seem to carry, let me know and I will keep you posted on the progress of my search. And of course special orders are always welcome. Tell us about some of your unique products that you sell? Wooly Wonkz toys that are lovingly handmade. What if your next pet toy purchase had the power to change someone’s life? Made from 100% New Zealand wool and made by Nepalese women, helping them make a living, all the while staying a fair trade product. Not only are they the cutest little animal faces like a fox or a sloth, but they are naturally anti-microbial, odor-resistant and toxin free. Gold Paw- Just one of their adorable clothing options for pets are their Sun Shield Tee’s. Made in the USA this sumptuous jersey is UPF 50+ rated, blocking more than 98%of UVA/UVB rays. Lightweight comfort for all day wear. Amazing for pets with skin conditions, allergies, wound care and perfect for thin haired animals. Believe it or not dogs and cats can be subject to melanoma. We also have sunscreen for noses and ears without harmful ingredients. Hemp collars and leashes- Earth Dog and Green Bean Dog provide two different types and designs of high quality handmade leashes and collars. Hemp is naturally organic and hyper-allergenic not to mention the cutest styles like Whales & Flamingos or stars & rainbows. Cycle Dog collars and leashes- What a different take on recycling.Their focus on the environment and raising awareness of the millions of bike tubes thrown into landfills every year. 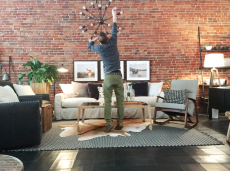 Hand sewn products are made and tested in Portland, Oregon. Not only eco-friendly, the rubber backing doesn’t allow bacteria to grow and the collars are stink free. And if that weren’t cool enough, they come with a bottle opener. Wondercide- Flea & Tick control for pets & home naturally. They treat nature with nature. Protecting your world without synthetic chemicals. An alternative to monthly chemical treatments for flea & tick control, using essential oils and never using artificial anything. Coming highly recommended by vet Dr. Judkins with Animal Kind in Jacksonville. Heidi a local dog walker using Wondercide on her pack just before her walks and never has to deals with fleas and ticks. Other non natural formulas have been proven to have devastating side effects ranging from skin issues to organ failure. Katie’s Bumpers dog toy’s- Made from non chemically treated recycled fire hoses. They are durable, floatable, and can stand the test of the toughest dog play style. Fiesta Pet Bowls- They are the most attractive bowls with color names like Poppy and Lapis. Fiesta bowls are triple fired which makes them anti-bacteria resistant and best of all dishwasher safe. And so many more that I can’t list them all. Along with very practical products you also have some very fun and whimsical items. • Bow ties for every size pet and every occasion. Whether your pet needs to express their inner super hero or their sporty hipster. We’ve got it covered. • Cat toy wands with everything from fluffy crinklers or feather fancys to entice the kitten in every cat. • More Gold Paw fleece sweaters that are so soft you’ll wish they made one for people. Well they did! And we are bringing them in this coming fall. • Key chains from Cycle Dog so you can match your dog and they didn’t forget the bottle opener. • Dog and Cat wine. Made with liver, catnip and beet juice. Your pet can enjoy happy hour right along with you. Billie-Jo, How are you finding all these great products? I spent several years researching products to make sure to find the right fits for a holistic store. This continued as I met with manufactures and distributors, building meaningful relationships where our mission is respected and encouraged. Learning so much about not only how the products are made, but what the companies values are. There are so many thoughtful companies who have the same intention we have which is to offer a healthy option that is also eco friendly. I’m inspired by your motivation to learn and do new things. Where did you pick this up? Wow! That is so kind of you to say. I would have to attribute my eagerness to move outside my comfort zone and to try new adventures, would be my life experiences. The life lessons I have had taught me that I was in charge of my own destiny. That whatever it was that I wanted from life would come from my own movement towards it. Always to be moving towards my truth and authenticity. From the time I was a little girl I discovered that I had a certain kind of resilience and tenaciousness to stand up for what feels right. Seeking out mentors that taught me that being vulnerable is not a weakness but a strength. That not having all the answers is alright. All of these lessons created a deeper connection with people and pets. I still have so much to learn in this life and am eager to continue my own personal growth and evolution. To me that is what the natural health industry is all about. And through that my entire lifestyle changed to start paying attention, plugging in and continuing to learn. Billie-Jo, every since day one you have always prioritized customer service and relationships. Prioritizing customer services and building relationships are key values in my business because I have learned that people want is be heard and feel what is important to them matters. I know that’s how I feel. We try our best to create that experience here. Plus, I love it when customers come back to give me updates on what their experience was with a product. Not to mention I enjoy meeting so many wonderful people and pets and hearing their sweet stories. What type of feedback are you hearing from the community? The feedback we are receiving is that Wellness Pet Supplies is just what was needed in Ashland. That pet parents want to take the best care for their pets and were looking for more natural solutions for troubling health issues. Please talk about some of the fun events you have lined up. Yes I do have some fun events planned such as lectures by pet health professionals, Nail clipping day from Land of Paws groomers and monthly Adopt-Thons. We have already had two events. The first was a wine tasting with Bell Foire where we donated our proceeds to the Humane Society. The second event was hosting a 1st Friday with the very talented Artist “J” Marshall from Grant’s Pass. Our next event is our BIG GRAND OPENING! Now that we have been open for just over a month we want to invite folks to come down this August 5th from 10 am to 6 pm to check us out and have some fun. We are going to offer great products for free raffles, samples, demos for pet portraits and flower essences. I will also provide snacks and so much more. Please join us in celebrating the start of what we hope is a long relationship with the Ashland pet community. We couldn’t be more thrilled to be here. Do you have any last thoughts or comments you would like to share with our readers? We would like to thank everyone for the warm welcome to Ashland and the opportunity to create something I love and feel passionate doing. Please stop by with your pets and let’s work together to support our furry best friends. We look forward to being a part of the Ashland community in all ways possible.